You might recall today's artist from his acting career. He played the role of the mute executioner, Ilyn Payne, in the first two seasons of a little show called "Game of Thrones". He and I have a common bond and I would like to share his story with you today. 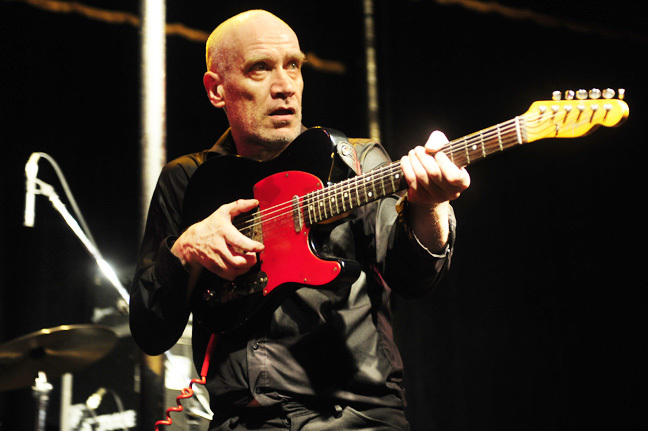 "Wilko may not be as famous as some other guitarists, but he's right up there. And there are a lot of people who'll say the same. I can hear Wilko in lots of places. It's some legacy." Like many young boys in England during the 60s and 70s, he played in several local bands while attending high school. After graduating from college, he had a very short stint as an English Teacher and began playing with a band called Pigboy Charlie Band. That band evolved into Dr Feelgood - a mainstay of the 70s pub rock movement. During his time with Dr Feelgood, he wrote most of their songs. But in 1977, there was a disagreement and Wilko left the band. As with many disagreements, there is a disagreement that he was kicked out of the band vs leaving voluntarily. 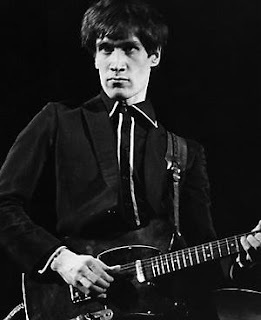 Wilko went on to create and join other bands, such as Solid Senders, The Wilko Johnson Band, and Ian Dury and the Blockheads. 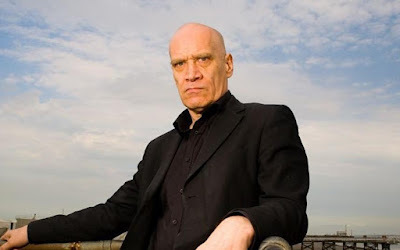 Wilko appeared in the Julien Temple-directed documentary film Oil City Confidential (2009), where he related his memories of Canvey Island and Dr. Feelgood. The reviewer Philip French described Wilko as "a wild man, off stage and on, funny, eloquent and charismatic", while Temple described Wilko as "an extraordinary man – one of the great English eccentrics". Reviewing the film for The Guardian, Peter Bradshaw called it "the best rockumentary yet" and said that "the most likeable thing about this very likeable film is the way it promotes Wilko Johnson as a 100–1 shot for the title of Greatest Living Englishman". Wilko married his childhood sweetheart Irene Knight when they were teenagers, and the couple had two sons, Matthew and Simon. He was widowed in 2004 after his wife's death from cancer. In January 2013, he was diagnosed with late stage pancreatic cancer. Most people diagnosed with this particular cancer do not survive long, even with treatments. He decided at that time he was not going to receive any treatments, but was going to live his life to the very fullest during his last few months. During this time, Roger Daltrey approached him and asked if he would work on an album with him. He agreed and they produced the album within 8 days, after which, they went on tour together. A little over a year later, one of his good friends paid him a visit. His friend had told him that most people with his type of cancer would be dead by now, and convinced him to see a specialist at another hospital. This time the doctor told him that he did feel confident performing surgery to successfully remove the tumor. Wilko agreed to the surgery, and the surgery was indeed successful. The tumor weighed 3kg (6.6 pounds). By October 2014, he was declared cancer-free. In honor of this 'feelgood' story, let's celebrate with some Dr Feelgood! Is there an artist that inspires you? Tell me about them in your comments. If you haven't voted yet, be sure to stop by and do so. I don't know much about this artist but what an inspiring story he has. 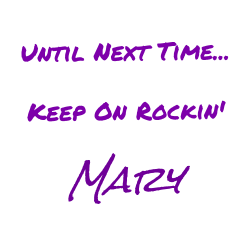 had to read about him online to know more about hisjourney, great person and sure some good music with mixed feelings in a way or the other.